The Guitarrista – summons random wild symbols to the reels for guaranteed wins. Connect these wilds with the other symbols for some big-time pay-outs. The Trompetista – blasts away symbols from the grid after your wins have been paid giving you another chance to hit winning combinations from the same spin. The Maraquero – with his crazy rhythms this musical matador shakes up the reels with a clever nudge mechanism to bring bigger and better winning combinations into play. Stop in 3 mariachi symbols on the reels to trigger the bonus round. When you activate this clever feature you will also get a number for each of the mariachi players. This is the number of times the individual feature will trigger during your bonus round, helping you find your way to some of the biggest pay-outs on offer from this title. The Jackpot Overdrive is a group of progressive jackpots that increase incrementally each time one of the Jackpot Overdrive slots is played. When one of the progressive jackpots is won, the main prize is reset again to a predetermined value, and resumes increasing as players play one of the Jackpot Overdrive slots. Jumbo Jackpot– for a life-changing win! Jackpot Overdrive är en samling progressiva jackpottar som ökar successivt varje gång en Jackpot Overdrive-spelautomat spelas. 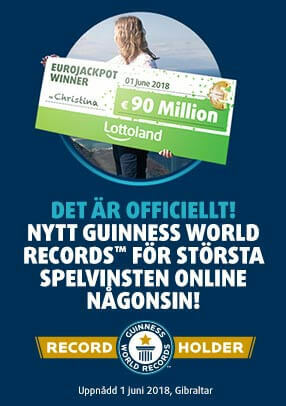 När en av de progressiva jackpottarna vinns återställs huvudpriset till ett förutbestämt värde som börjar öka igen i takt med att Jackpot Overdrive-spelautomaterna spelas. Jumbojackpott– kan ge dig en livsomvälvande vinst!